University of Kashmir officials are caught in a fix over the upcoming 8th J&K Science Congress as according to the sources university officials are under immense pressure to ensure that every university officials stands up during the playing of the National anthem. The 8th J&K Science Congress which is starting from 17th –19th September has been surrounded by controversies as the university authorities are caught in a challenging position where in they have to ensure that whosoever participates in the congress should standup when the national anthem is played. 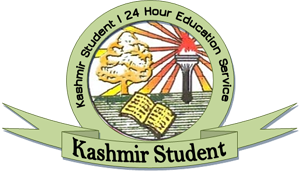 According to the sources, Vice-Chancellor of Kashmir University Proffesor Talat Ahmed held a series of meetings with senior officials and heads of departments of the university wherein it was impressed upon the university officials that every official, teachers and scholars ‘should stand up when the national anthem is played. Sources further said soon after the meeting ended, various head of departments pulled up their socks to ensure that the orders are strictly followed by the general staff but to their utter shock many of officials have refused to abide by the order. “Many HOD’s have held series of meetings with their staff members and who ever refused to obey the directive are being given an open choice to remain voluntarily absent on the day. If any official participated in the congress and does not standup while the national anthem is being played he may be liable for any kind of administrative action,” sources privy to the development said. “Many of the officials of the university resisted this diktat and they have been asked to remain absent voluntarily,” sources said. The J&K Science Congress is held every year in the university and this year the Vice-president of India, Hamid Ansari is expected to inaugurate the three day long function. Governor N. N Vohra, Chief Minister Omar Abdullah and Minister for Information Technology Aga Ruhullah will also participate in the event. Over 1,000 University teachers, scholars and officials are expected to participate in the function. Around 800 delegates from across the country are participating in the event besides 600 research papers covering various spheres of science will be read during the three days. It’s in place to mention here that a similar incident occurred in the university on May 11 this year, when the Kashmir University officials and majority of the students showed disrespect for the National Anthem by not standing up in Kashmir University convocation centre to the National Anthem during the inaugural function of a 3-day International Seminar on "Impact of Peace, Conflict and Disturbances on Economic Development Processes". The disrespect irked the Chief Guest and Chancellor of Kashmir University, Governor N N Vohra, who took up the matter with the Kashmir University Vice Chancellor Professor, Talat Ahmad, and other officials and directed them that University, should ensure that every one shows respect for the National Anthem. 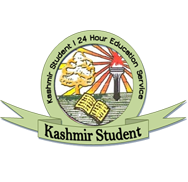 “Later a meeting of the Head of the Departments was held and Vice Chancellor asked them to ensure that such disrespect did not occur in future and it’s only after that incident that the Vice Chancellor Prof Talat held recently meeting with senior officials to ensure the incident should not be repeated,” sources said.